Each adjustment/treatment lasts at least 15-20 minutes. 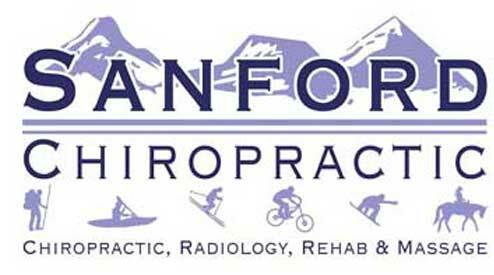 No "pop and go" chiropractic here. You will be with Dr. Sanford the entire time. Staying in your clothes, he will have you lay on his very comfortable and highly specialized table. He will then feel your spine and then begin to massage the tight areas. He uses the famous Thumper and G5 mechanical massagers. Patients absolutely love them! 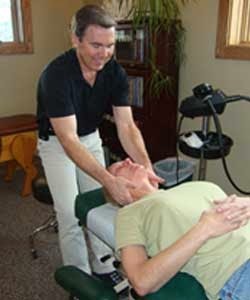 After you are all nice and relaxed, he will adjust your spine as comfortably and effortlessly as possible. He has 3 primary adjustive techniques: traditional hands-on, drop-table, and activator. He may also do another wonderful technique called "flexion-distraction" that is great for lumbar disc issues. Dr. Sanford uses Evidence-Based treatment protocols to insure that you are receiving the latest and most scientific treatment available. If for some reason you do not respond in 3 treatments, he will reassess the situation. No long term treatment plans here. We want you to get well soon, and will not do any more treatments than absolutely necessary. When treatment is successful, he will quickly transition you to prevention. Learn about our rehab facility.